Great report, man!! So cool that there's another wave coming up. 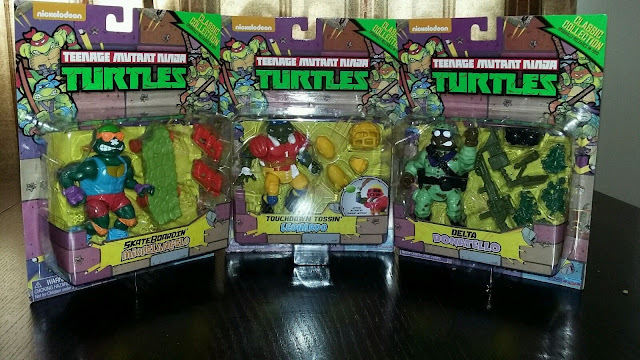 I wouldn't call these people "SCALPERS".These specific pictures are from a lady on eBay, (Seller:rockateaddy_883) who always gives me the best prices on all my TMNT action figures. I bought these specific ones from her as a "Best Offer" for $30 +shipping. I don't think that was an outrageous price. But that's just my opinion. Interesting. There was a seller named Rocksteady_883 on there recently selling them for $74.99 plus $14.95 shipping. That is extreme scalping! Why do you keep deleting my comment? Is it something I said? I haven't deleted any comments. In fact, I can't think of an instance that I have ever deleted a comment on here. I am not sure what you are talking about. Did you delete your own comment by accident?